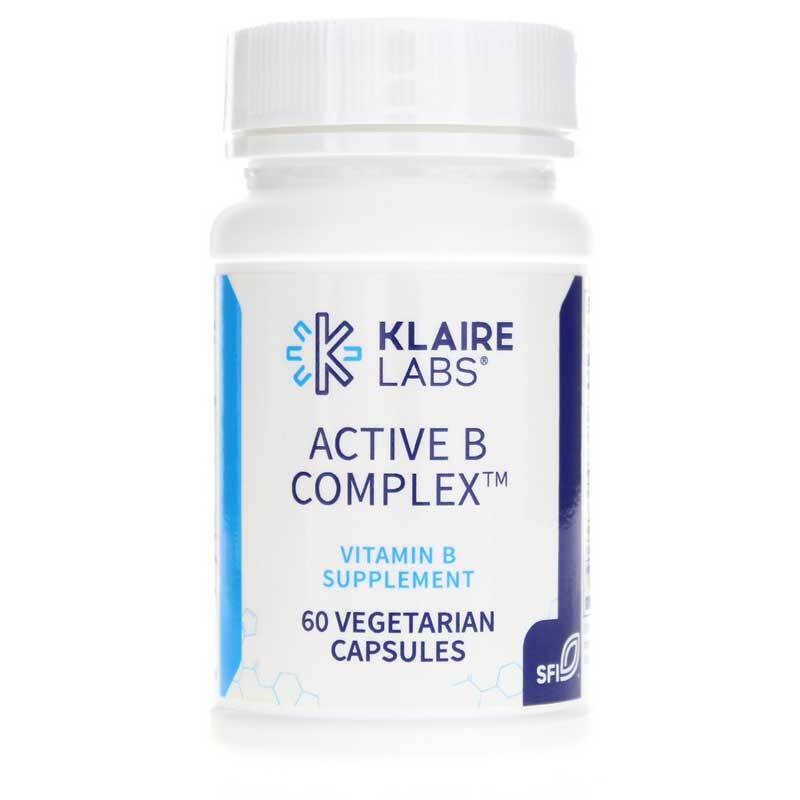 Klaire Labs Active B Complex provides a full-complement of essential B-complex vitamins to help your body produce energy from the food you eat, as well as red blood cells. There are eight water-soluble B vitamins: riboflavin (B-2), thiamin (B-1), pantothenic acid (B-5), niacin (B-3), pyridoxine (B-6), biotin (B-7), folate (B-9), and methylcobalamin (B-12). 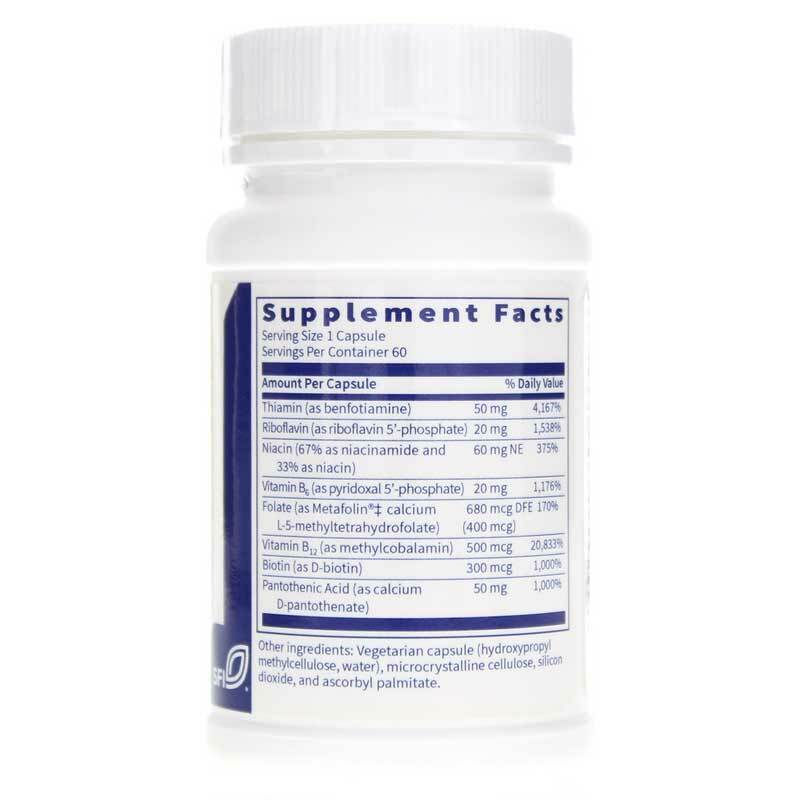 In this formula, the vitamins are presented in activated, coenzyme forms to provide optimum support for people who may have problems metabolizing standard supplemental forms. 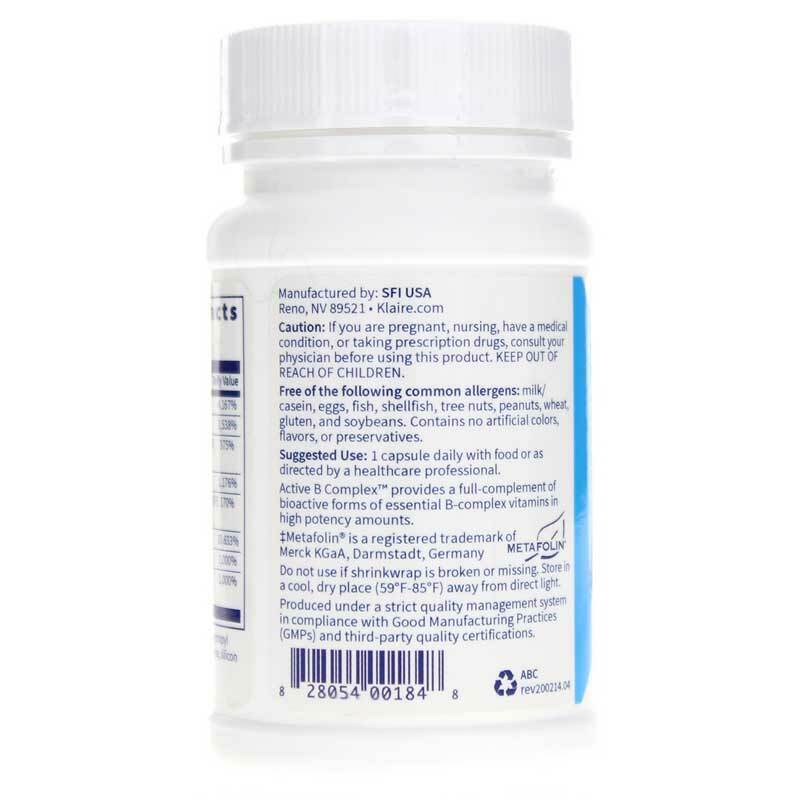 Other Ingredients: Vegetarian capsule (hydroxypropyl methylcellulose, water), silicon dioxide.